Home > Companies > Featured Brands > Higuchi Matsunosuke Shoten Co., Ltd. (株式会社 樋口松之助商店). Higuchi Matsunosuke Shoten Co., Ltd. (株式会社 樋口松之助商店). Higuchi Moyashi was founded in 1855. 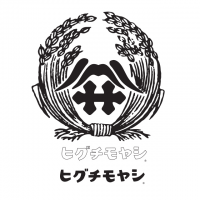 Our brand name is Higuchi Moyashi. We make and market Koji Starters and Koji fungi of all kinds used in the production of Sake, Miso, Soy Sauce, Shochu, Amazake, Mirin and Shio Koji. Our expertise in Koji Starters and Koji fungi is recognized in Japan and overseas. A large number of Japanese Sake, Miso, Soy Sauce and Shochu manufacturers use our products.